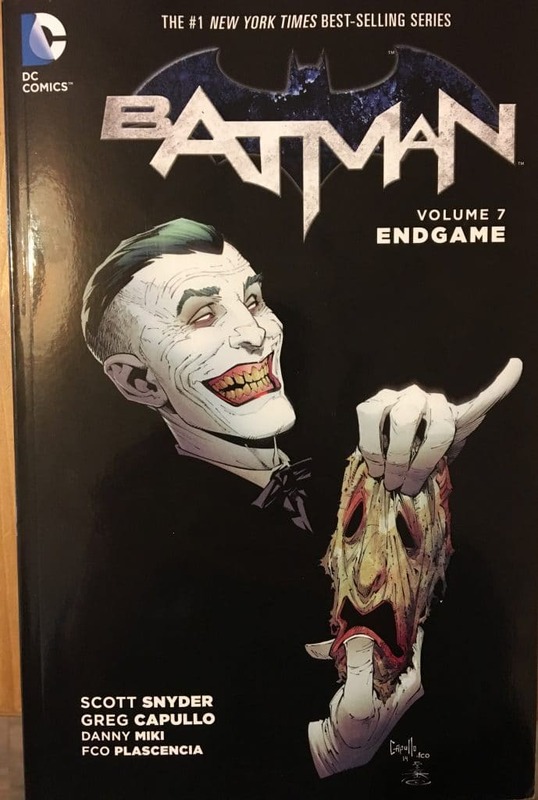 Batman: Endgame is the seventh collected edition in the Batman New 52 series and the epic return of The Joker following the events of Death of the Family. It’s an explosive book from start to finish without a minute to pause in between. 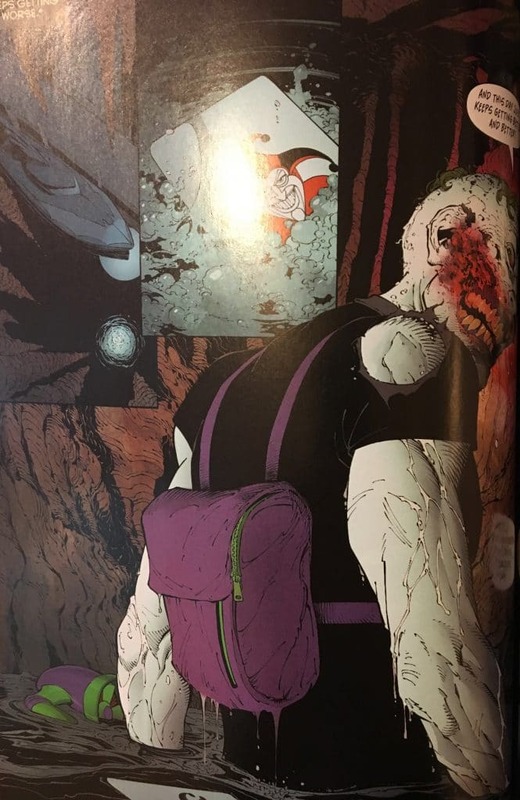 The Joker has a new strain of Joker toxin which has an inverse affect on its victims (makes people who love Batman, hate him and vice versa) and has started with The Justice League who have come for Bruce Wayne. It’s a mad race against time to find the cure before it’s too late and stop the Joker at all costs before Joker’s true Endgame is fulfilled. 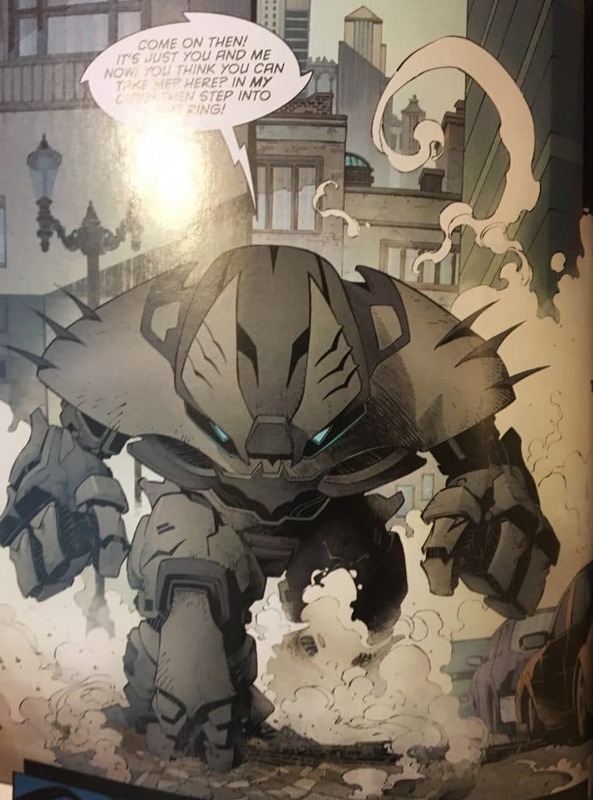 Batman Volume 7: Endgame collects Batman #35-#40. For years and years Joker and Batman have been at it, scores of people have lost their lives in the crossfire but never has either of these titanic characters lost of their lives. From The Man Who Laughs, to The Killing Joke and more recently Death of the Family everything has ended with them both alive. 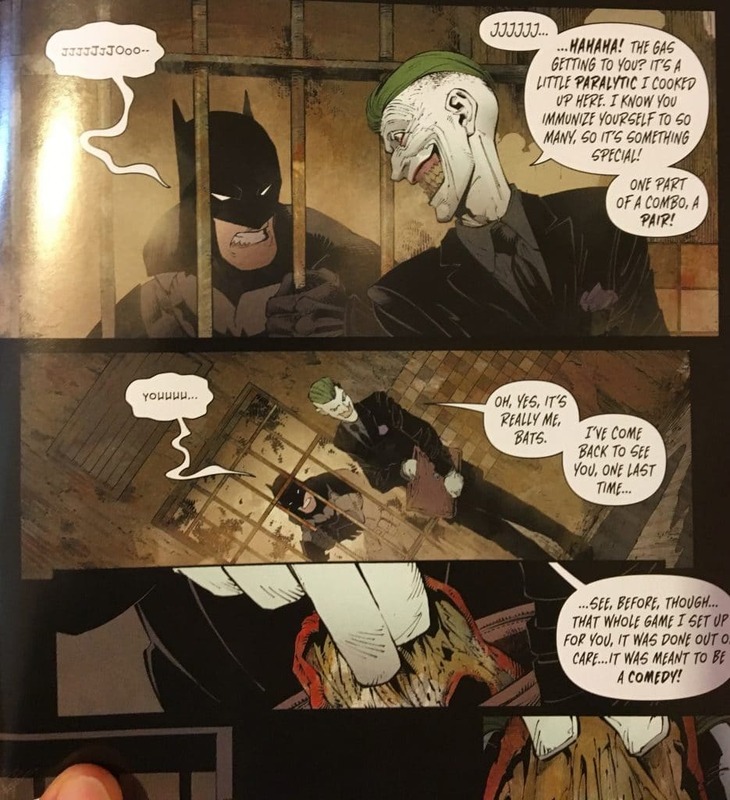 Once, Joker stepped over the line and killed Jason Todd in Death in the Family and Jason Todd couldn’t forgive Bruce for letting him live as seen in Under the Red Hood. 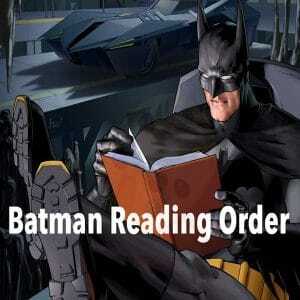 This time, though, it’s different and The Joker is not playing games and is going to kill the Batman once and for all. We’ve heard this a million times, though, and this is not a new formula – what it is though is Snyder’s take on the age old Batman/Joker formula with a fresh perspective and direction and it is a non stop rollercoaster ride from start to finish. I read this in one sitting without breaks and felt it should be read this way for anyone thinking of getting it. All issues follow each other and it’s no crossover arc. It starts off BIG. Joker has managed to get the toxin to the Justice League and they’ve all come for Batman in an epic Justice Buster vs. Justice League standoff in midtown Gotham City. Not all Justice League members feature though so it’s pretty much just Wonder Woman, The Flash (gets dealt with in seconds), Aquaman (is dealt with far too easily) and Superman (who gives him the most trouble). 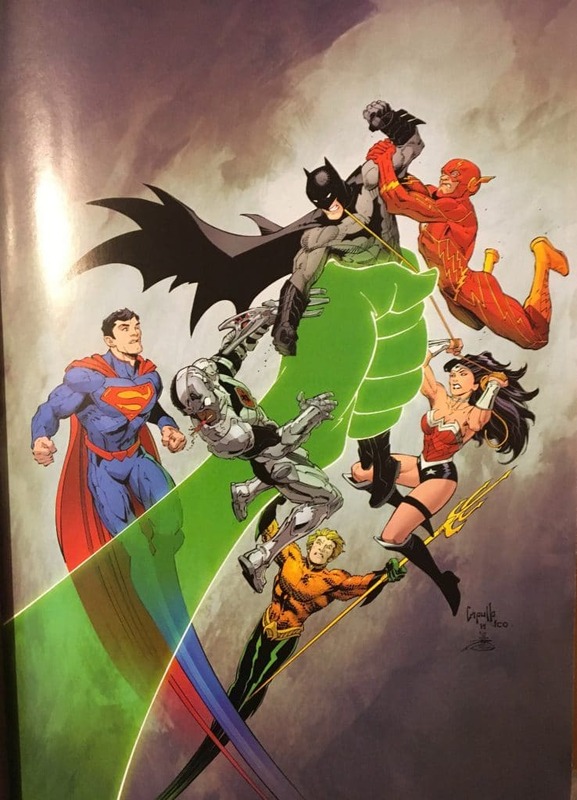 Cyborg and Green Lantern are featured in a full page image but didn’t feature in the issues. It’s pretty epic to be honest and a marker for the rest of the trade paperback. However, it does feel like Snyder squeezed a little too much into 1-2 issues which probably explains why Flash and Aquaman were dealt with so easily and the others were just missing. 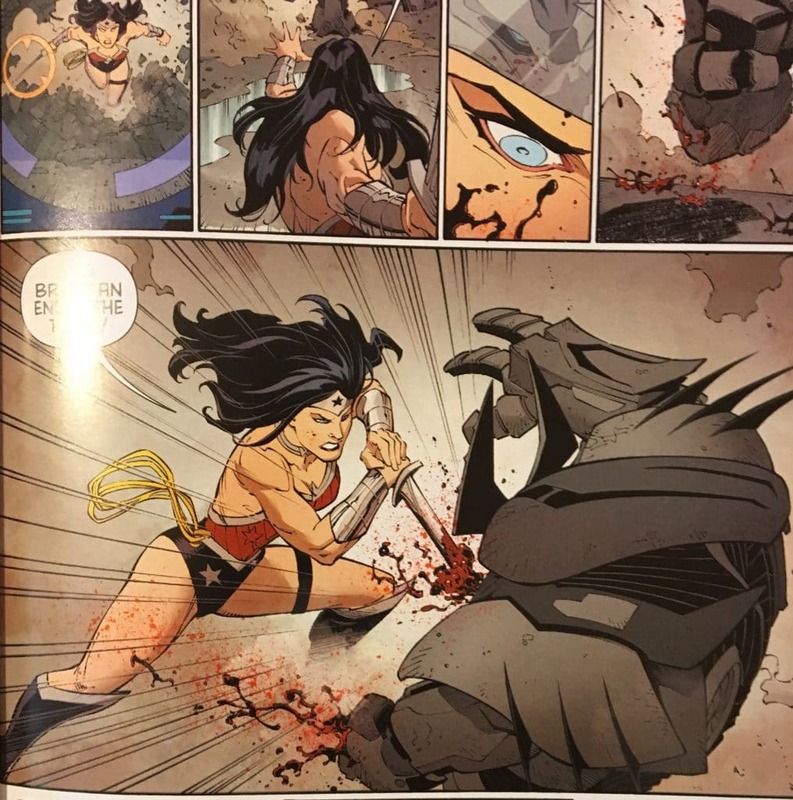 The Justice League and action sequences are drawn and coloured masterfully, a bit on the dark side. 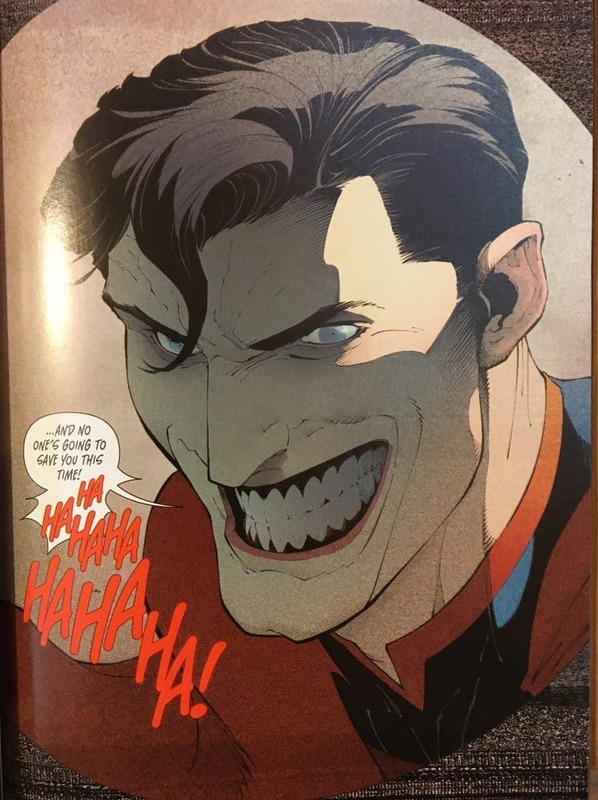 I particularly loved how Superman was drawn as he looked absolutely menacing while under the effect of the new Joker toxin. 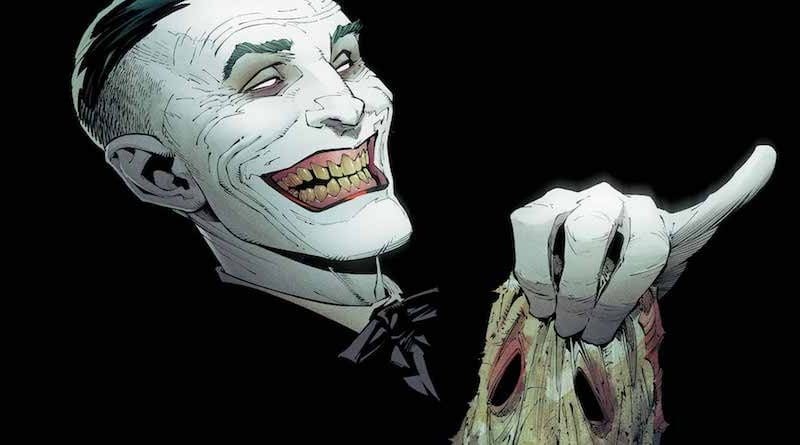 Once the League is ‘dealt’ with Joker’s master plan begins to unravel and you immediately see that the stakes are extremely high, perhaps a little bit too high as every citizen of Gotham could be dead soon if Batman doesn’t stop the Joker. 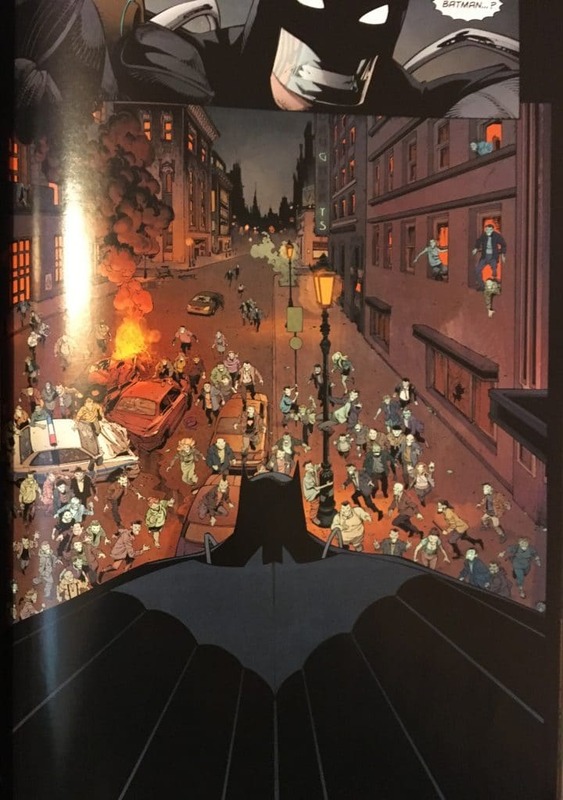 Poisoning the City with Joker toxin is hardly a new idea from any Batman writer but as you get deeper into the plot you see the poisoning is only a distraction from the real plot – could Joker be immortal? Has he been around the block for hundreds and hundreds of years?! At first, I took it at face value but after some time I saw it as one of those mysteries that may or may not be true and simply adds to the overall lore of The Joker. For example, if this were true it would make the The Killing Joke’s origin impossible. Another part I noticed was when the Joker gets to the Batcave later on and acknowledges the Red Hood from Zero Year. This makes me think that Red Hood / Killing Joke are origin stories and his immortality is just psychological warfare against Batman to remind him that he is always around. 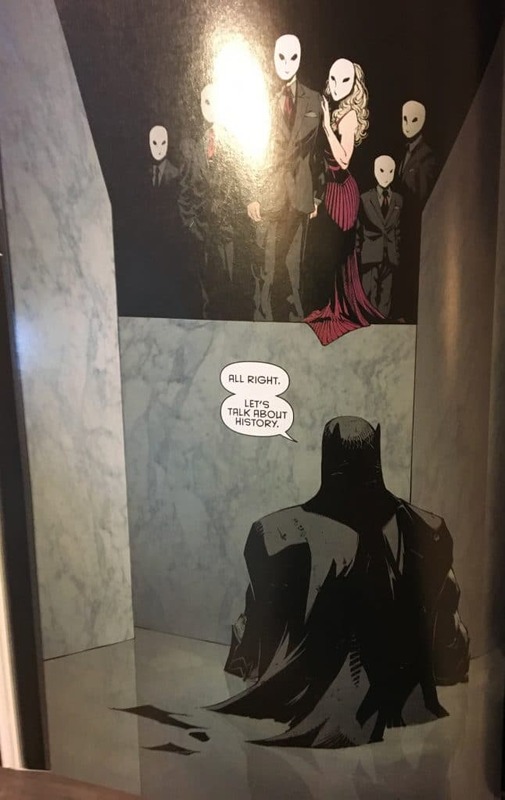 Anyway, the intensity of Endgame never lets up and the reader will have to deal with a million things at once – the mad race to find the cure, the inclusion of a few Bat-Family cameos (Red Robin, Red Hood, Bluebird, Batgirl) and even short term allies in some of Batman’s greatest Rogue’s Gallery fighting for the same cause. What Snyder, Capullo, Miki and Placensia have done is a storyline so busy and exciting that you never have a chance to look at the minor detail unless you read it a second time. Now, let’s talk about the Joker. His new look is very much for the modern age with a hipster esque hair and his own skin has come back (this relates to the immortality/healing plot line). But he is still the menace he always has been – possibly more so as he is unafraid to produce a gory scene or two – including a brutal encounter with Alfred. My favourite Joker is a murderous, unpredictable and intelligent Joker and this is what I got in Endgame in spades. 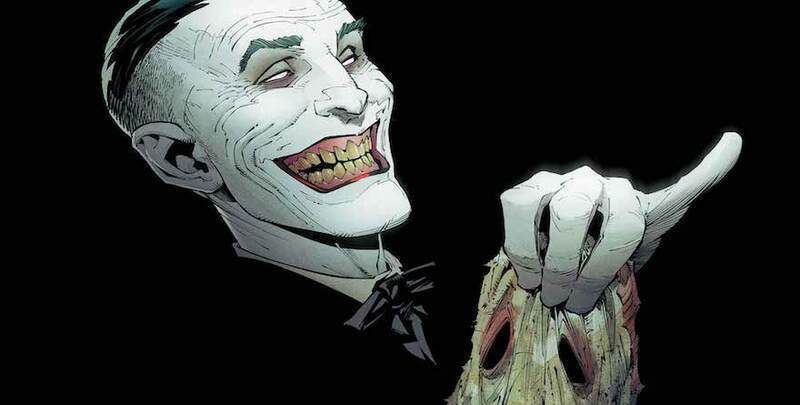 It’s directly stated that The Joker now knows of the identity of Batman which could change things forever. Joker has never known the identity and it’s extremely brave for Snyder to do this – we don’t see the impact of this in Endgame but it will be very interesting to see how this one plays out the next time Joker makes an appearance. Perhaps it will be retconned somehow, I think it will. Lastly, the ending was epic and a cliffhanger with a scene we’ve all seen before and know how it’s going to end up. I really can’t say anything else as it would be a major spoiler. All I can say is, it was a bold move but nothing original. 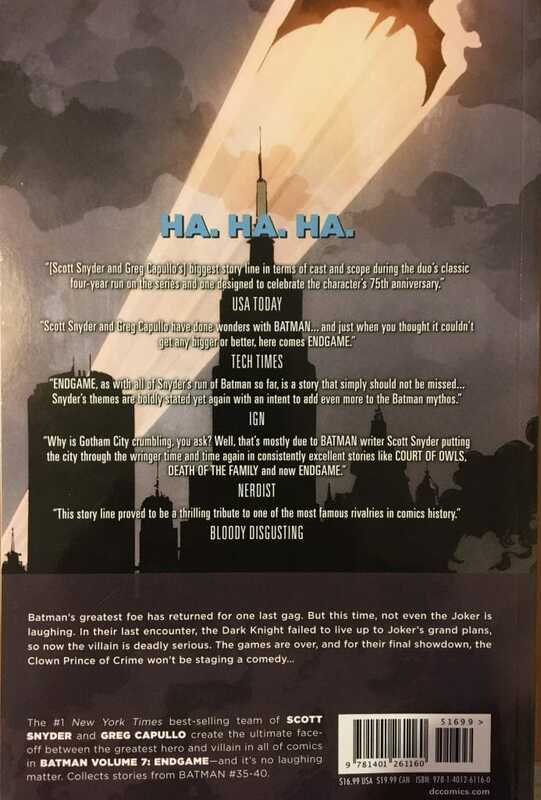 Overall, Batman: Endgame is a non stop action packed Batman/Joker storyline with extremely high stakes and a cliffhanger ending that will keep readers gripped from start to finish. Not the most well woven plot line we’ve seen before from Snyder and co but one worth reading if not for the many Joker moments. Artwork is top notch as it has been every time from Capullo, Miki and Plascensia. Again, I would recommend getting this and reading it in one sitting for the full experience. If you’re a collector get ready to be annoyed by the different spine to Volume 6 and backwards! All individual covers from the original run are also included in the back.